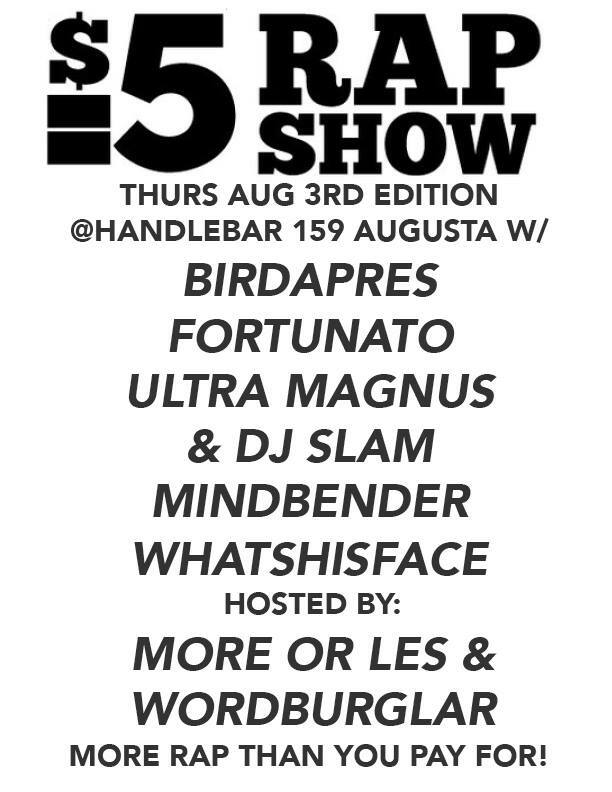 Hand'Solo Records » Blog Archive » $5 Rap Show for my birthday! Home Bass > $5 Rap Show for my birthday! This year a great wonder occurs! $5 Rap Show falls on my birthday! I have the night off, so come celebrate with me near the stage, from wherever I can best see the stacked line-up. More rap than you pay for! And as usual, hosts More Or Les and Wordburglar!